Develop your kid's creative thinking with this 2 in 1 Chhota Bheem Writing Board . 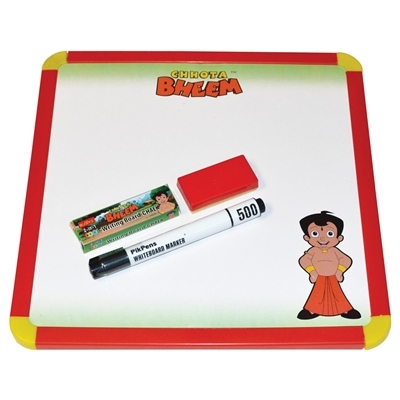 Kids can create and erase thousand times with marker,chalk and duster include in this pack. This board is a beautiful way for kids to learn while playing.